Don’t see what you are looking for? Request a quote now. Survey and installation available for these products. We cover Greater London and surrounding areas. 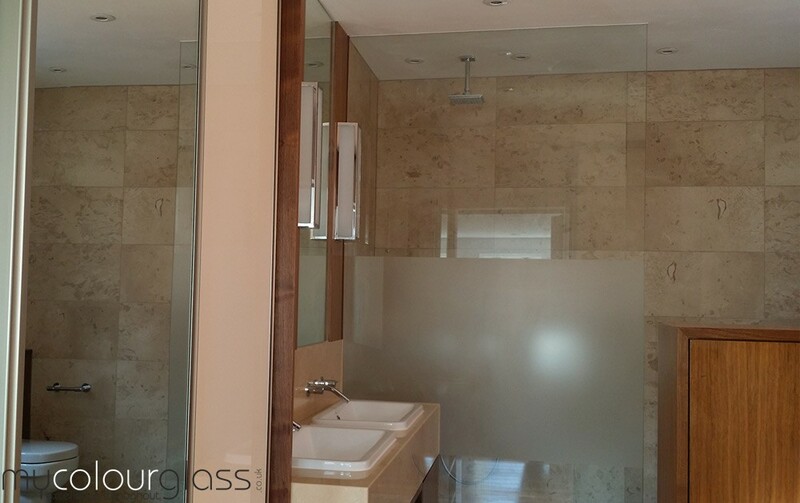 Glass shower screens are the ultimate in good use and looks for your bathing area creating a spacious and stream lined atmosphere for relaxing in. 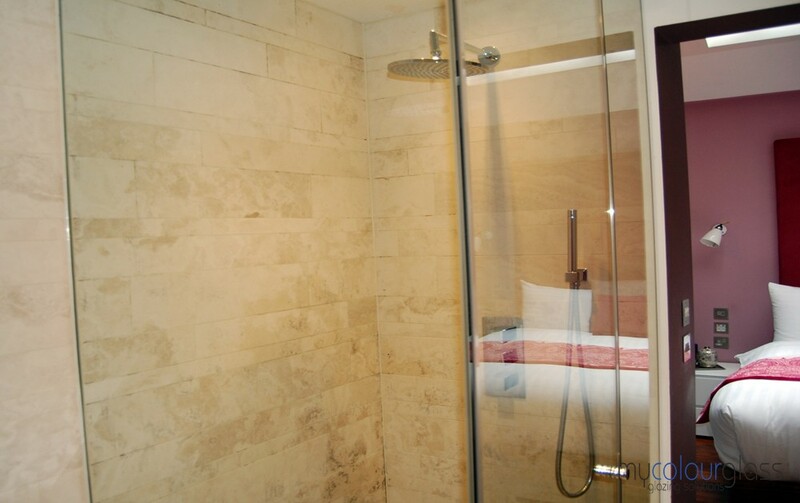 Glass shower screens are also known as “Frameless Glass Shower Panels”. You have often seen glass screens used in creating a nice chic appearance in high rise offices and other rooms as a means of stylish room dividers, but now they make their way into the master bath and other bathing areas. Glass shower screens can give the look of ultra modern or fit in charmingly with the classical old world decor, it is up to you. Dark colors in glass and ornate brass fittings capture and fit in with the old world nicely. Brass fittings can also capture the future with smooth sleekness. Contemporary can give you nice cut lines with hues of luminous colors in your choice, such as a cubicle look appearing very roomy. You will definitely feel “On Top of the World”. You can create any look you want such as Parisian, Italian, or many others, especially when paired up with columns, marble flooring, sleek glass tilings, or rock pathways leading to your own private patio area from the bath. This is how versatile glass shower screens are. 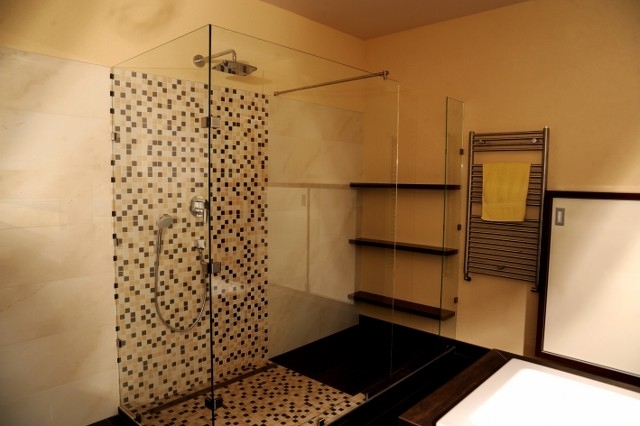 Our shower screens are quickly becoming a major component in your vision and the styles are many. What Are Some of the Features of Glass Shower Screens? 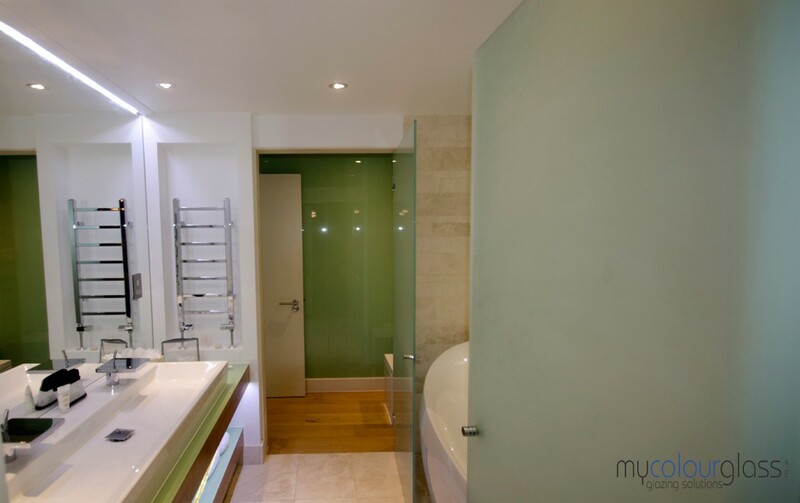 There are many excellent features when it comes to glass shower screens by MyColourGlass. Let’s look at a few of these. 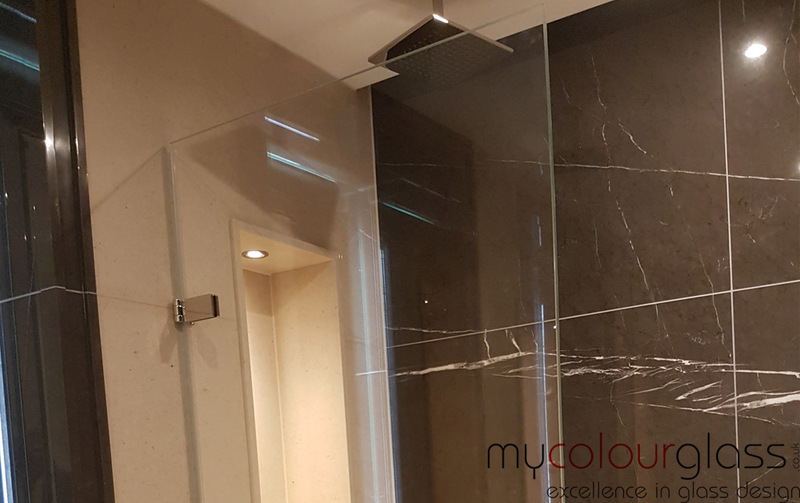 • Custom Glass Shower Screens- All orders from MyColourGlass are custom designed for each customer, and made to measure using high quality toughened glass meeting the most rigid of safety standards. 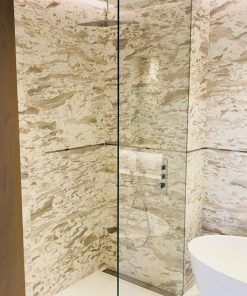 A large choice of stylish fixtures, such as handles and hinges, are yours to choose from along with you custom cut glass for your shower screen. Some of the fixtures include brass, powdered coating, modern chrome, and even gold plating, if you so desire. • Colors and Finishings- Our toughened glass comes in many colors and hues. Take a look around and see what we have to offer, it will be an exciting adventure. If you want we can even do a sandblasted finish for extra good looks. On top of all of this a special coating can be applied, if you want, that makes your glass shower screen “self-cleaning”. There are many options to choose from. • Installation Specialty- We practice supply or supply and install, the choice is yours. Custom installation is done using the highest standards of craftsmanship and precision in measurements and fittings completed to the very last detail for your enjoyment and use for years to come. 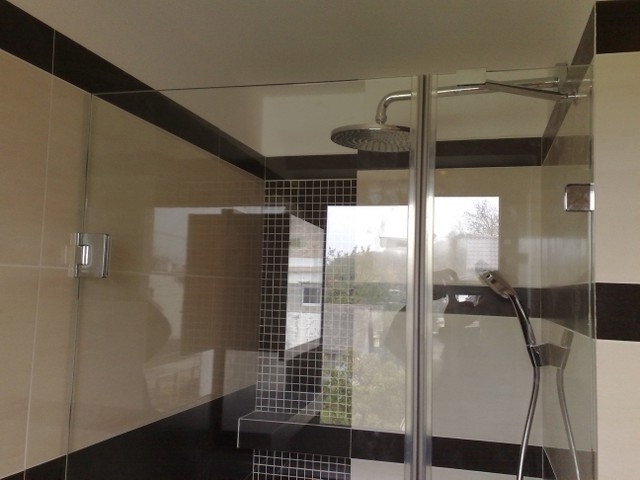 Glass shower screens are a worthwhile investment adding to the value both economically and aesthetically of your home. You can actually do almost all of your bathing area in toughened glass. Bespoke painted glass can grace your sink area tops along with glass cladding on your walls for an exquisite look that only MyColourGlass can create. See also our shower glass panel ideas.